Seattle to Bend - A Bikepacking Adventure with Friends! You don’t need to wait for perfect weather to explore by bike. After all, isn’t that part of the adventure? 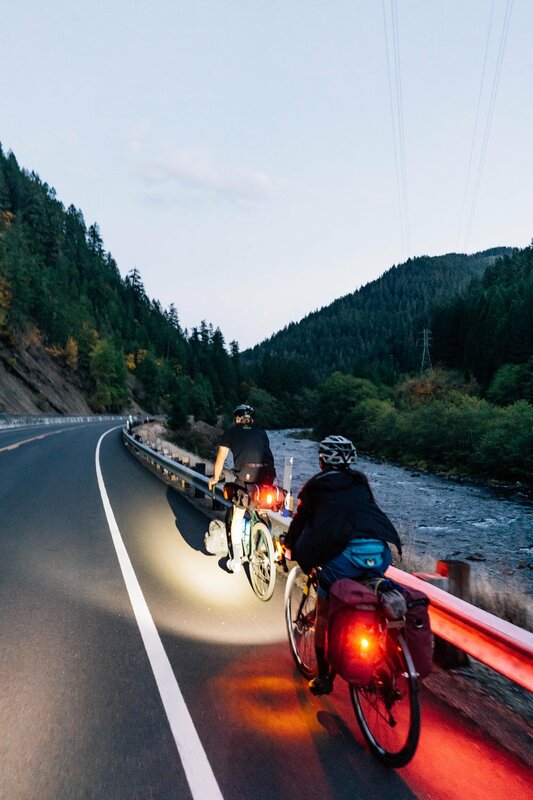 Join us on an epic ride from Seattle to Bend by bike! 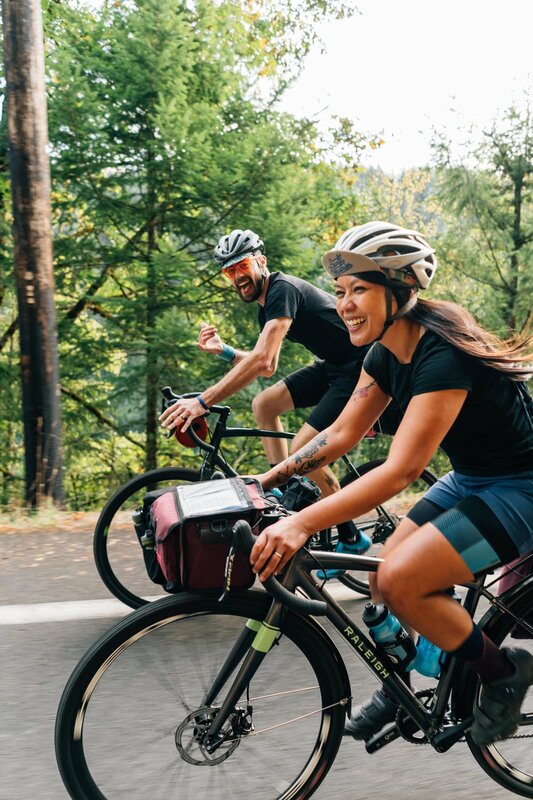 We recently teamed up with some friends from Raleigh, Swift Industries, and Nuun to check out one of Oregon’s Scenic Bikeways. Not everything went according to plan. Did we still have fun? Watch the video and read on to get the full story through the eyes of rider Kelly Nowels. They say that it’s not about the destination, it’s about the journey. But I’m a sucker for destinations. Sure the journey is where the fun's at, but without a destination in mind, are you kinda just wandering around getting lost? Even in little things I like to have a bit of a destination. When I have to drop something off at Fedex, or pick up more coffee, I like to save these errands for a bike ride or a run just so my activity has a little destination I’m aiming for along the way. So when I heard about the plan to bike tour from Portland to Bend, finishing at Loge, I was all ears. A journey AND a rad destination? Count me in. A few emails later and we had a plan. Tyler and I would take the train to Portland, meet up with Gritchelle, and embark on our 200 miles along the Oregon Scenic Byway. With the help of some Raleigh bikes and some Swift Industries bags to carry our stuff, we were ready for 3 days of riding and camping. The first 70 miles went quickly as we moved out of Portland and into the mountains and forests of central Oregon. 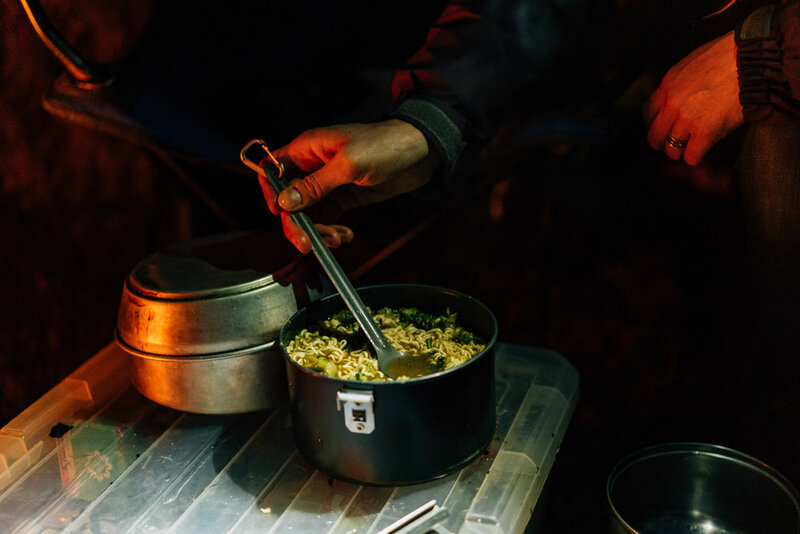 With as many snack and picture stops as we enjoyed, before we knew it the sun had set and we were rolling into camp in the pitch black. 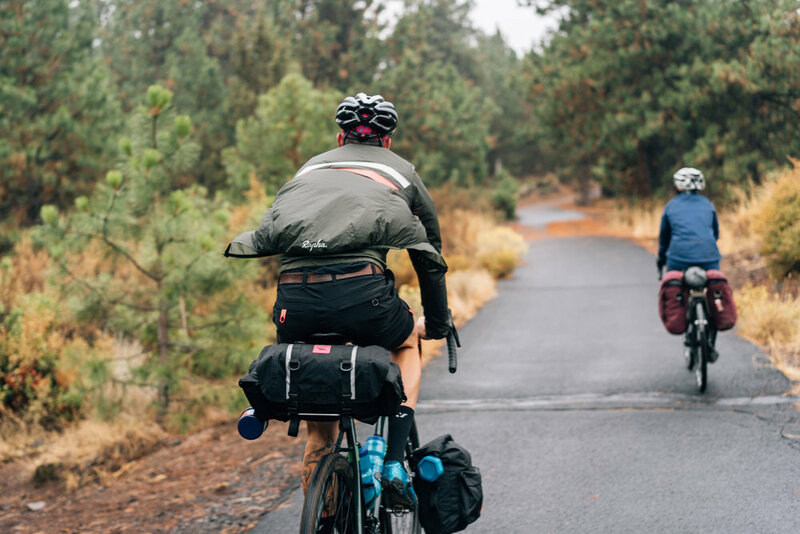 The next day brought another 70 miles of beautiful Oregon tarmac punctuated by several gravel climbs and descents. Our spirits were only slightly hampered by the rain storm that followed us all day, ensuring that we were thoroughly soaked after a couple hours. The upside however, is how alive the rain made the forest. The greens and yellows of the trees felt even more vibrant, the rivers even more majestic, and the salamanders even more… uh salamander-y. Pretty quickly, the next day, the terrain started resembling the arid high desert that Bend is known for. The gravel roads and dirt trails as we got closer spiked our energy levels once again. Gritchelle led the way through the flowey singletrack that led directly to Loge’s front door. There we were met by the manager on duty with a warm smile and cold beers. Man this place is sweet! A hot tub, hammocks, and an entire fleet of mountain bikes had us asking if we really had to go home tomorrow. As far as destinations go, this might be one of the best! And if you ask me, it’s proof that sometimes it’s about the journey AND the destination. HUGE THANKS to everyone involved in this ride! The riders Kelly Nowels, Gritchelle Fallesgon, and Tyler Smith crushed it!